Dr. Andrew Jacono is a Dual Board Certified, Facial Plastic and Reconstructive Surgeon with a thriving practice on Long Island’s Gold Coast and in Manhattan. He is Section Head of Facial Plastic and Reconstructive Surgery at North Shore University Hospital Manhasset; Assistant Clinical Professor, Division of Facial Plastic and Reconstructive Surgery at The New York Eye and Ear Infirmary; Assistant Professor, Department of Head and Neck Surgery at the Albert Einstein College of Medicine; Director of The New York Center for Facial Plastic and Laser Surgery in Great Neck, NY; author of the book FACE THE FACTS: The Truth About Plastic Surgery Procedures That Do and Don’t Work; and creator of J PAK SYSTEMS, homeopathic remedies to help optimize healing after aesthetic procedures. Andrew A. Jacono, MD, F.A.C.S. began his medical education at the Albert Einstein College of Medicine in New York City where he received his MD degree and graduated at the top of his class. He was elected into the Alpha Omega Alpha Medical Honor Society and graduated with Distinction for Research in Otorhinolaryngology. Dr. Jacono completed his internship in general surgery at St. Vincent's Hospital and Medical Center in New York followed by a surgical residency and specialization in Otorhinolaryngology / Head and Neck Surgery at the prestigious New York Eye and Ear Infirmary in Manhattan. There he was elected Chief Administrative Resident and upon graduation was awarded the William H. Turner Award for excellence in surgical and patient care skills. Dr. Jacono was then chosen for a Fellowship in Aesthetic Facial Plastic and Reconstructive Surgery sponsored by the American Academy of Facial Plastic and Reconstructive Surgery at the Lindsay House Center for Cosmetic and Reconstructive Surgery and the University of Rochester in Rochester, New York. During his fellowship his entire experience focused on cosmetic and reconstructive surgery of the face, nose, eyes, ears head and neck. There he received extensive training in the most updated techniques including laser surgery and minimally invasive endoscopic facial plastic surgery which has become one of his specialties. Dr. Jacono is Board Certified by the American Board of Facial Plastic and Reconstructive Surgery. He is one of a small group of surgeons that has achieved Dual Board Certification in Facial Plastic and Reconstructive Surgery as well as Head and Neck Surgery. He is also a Fellow of the American Academy of Facial Plastic and Reconstructive Surgery and a Fellow of the American College of Surgeons. Dr. Jacono is one of only 37 surgeons in the United States that are Advanced Facial Plastic Surgery Fellowship Training DIrectors for the American Academy of Facial Plastic and Reconstructive Surgeons. As Assistant Clinical Professor in Facial Plastic and Reconstructive Surgery at Manhattan’s prestigious New York Eye and Ear Infirmary, Dr. Jacono is considered to be an outstanding teacher and lecturer. His innovative surgical techniques and skills have led to the publication of numerous manuscripts. He has published extensively in medical literature on topics including minimal incision eyelid surgery, endoscopic (telescopic) minimally invasive brow lifting, endoscopic midface and face lifting surgery, rhinoplasty and revision rhinoplasty, lip augmentation, orbital reconstruction, and injectable collagen and biomaterials. An expert in aesthetic injectables, Dr. Jacono was recently named a National Education Faculty Member for Allergan. Dr. Jacono’s articles have been published in medical journals including Facial Plastic Surgery and Archives of Facial Plastic Surgery. His clinical research has been presented at several national meetings of the American Academy of Facial Plastic and Reconstructive Surgery, including the 8th and 9th International Symposiums on Facial Plastic Surgery. Recently, at the 9th International Symposium on Facial Plastic Surgery, Dr. Jacono was a member of the Distinguished Faculty and presented an abstract on his Reverse Neck Lift, a procedure which he pioneered to repair problems resulting from poorly executed face and neck lifting procedures. As a leading expert in his field, Dr. Jacono is regularly interviewed about current trends in plastic surgery. He has appeared on ABC’s Good Morning America, Inside Edition, CNN, CNBC, The Morning Show with Mike and Juliet, New York’s CW 11 Morning News and Telemundo and has been interviewed on NPR, 1010 Wins and WCBS Radio. His expertise has been featured in national and international print publications including Family Circle, Cosmopolitan UK, Details, Newsweek, USA Today and US Weekly amongst others. In 2007, Dr. Jacono was elected as one of America's Top Plastic Surgeons by the Consumers Research Council of America and was featured as one of Ten Leaders in Plastic Surgery in Long Island in The New York Times. Philanthropy is a cornerstone of Dr. Jacono's practice. He is the National Chairman of the “FACE TO FACE” Committee for the American Academy of Facial Plastic and Reconstructive Surgery. “FACE TO FACE” is a national project offering pro bono consultation and surgery to victims of domestic violence. Dr. Jacono’s commitment to the cause goes well beyond the operating room. For the past five years, he has chaired ABOUT FACE: MAKING CHANGES – an annual Long Island benefit for survivors of domestic violence. His efforts have been recognized by U.S. Congresswoman Carolyn McCarthy and by the Center for the Women of New York, who honored Dr. Jacono with a “Good Guy” Award in 2006 for his contributions to women’s welfare. Dr. Jacono is also a volunteer surgeon for "BEYOND OUR BORDERS,” an organization that brings underprivileged children from third world countries to the United States for surgery to repair disfigurement due to cancer, trauma, and birth defects. Doctor Jacono's background in Head and Neck Surgery and subspecialty training in Facial Plastic Surgery give him a unique knowledge of the face and its underlying structures. He is a specialist and limits his practice only to facial cosmetic and reconstructive surgery. Dr. Jacono’s current patient base consists of television news personalities, models, TV and film actresses and everyday women interested in rejuvenating their appearance, as well as those seeking difficult corrective and reconstructive procedures. Dr. Jacono’s primary private practice is located at 900 Northern Boulevard, Suite 130 in Great Neck, New York 11021. Dr. Jacono also has a Manhattan Satellite office at 990 Fifth Avenue, New York, New York 10028. He recently began work on a 12,000 square foot, state-of-the-art surgery center and medical spa on Long Island’s Miracle Mile which is expected to open in 2008. To book an appointment with Dr. Jacono, contact 516-773-4646. 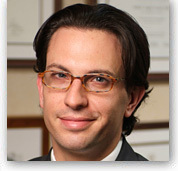 To learn more about Dr. Jacono and his practice, visit www.newyorkfacialplasticsurgery.com.